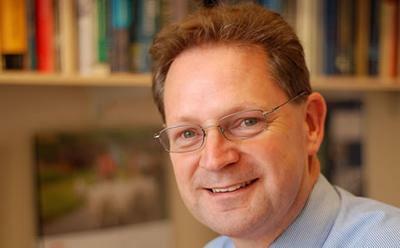 Professor Robert Wood from the University of Southampton has been announced as a new Fellow of The Royal Academy of Engineering on the day of its 40th annual general meeting. Professor Wood was one of 50 renowned engineers from across the country who were elected to the Academy in recognition of their outstanding and continuing contributions to the profession. The 2016 list also includes two International Fellows, recognised for their significant contributions to engineering outside the UK. Professor Wood was recognised for his 30 years research and knowledge transfer experience in the field of tribology (the science of rubbing surfaces) and surface engineering. 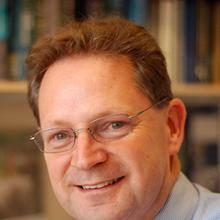 He founded and was director of the EPSRC funded UK National Centre for Advanced Tribology at Southampton (nCATS) within Engineering and the Environment at the University of Southampton before being appointed Associate Dean for Research and continues his research interests and collaborations. Prior to joining Southampton in 1993, Professor Wood worked for BP as a tribologist, developing automotive lubricant oil formulations and researching into offshore drilling tribology. He is also chair of UK Tribology (a cross professional institutions committee, involving the IMechE, IET, IoP, IoM3 and the RSC) to act as a single voice for tribology in the UK. The first meeting of the Fellowship of Engineering took place on 11 June 1976, when 130 leading engineers of the day including jet engine visionary Sir Frank Whittle, design guru Sir Ove Arup, and father of the UK computer industry Sir Maurice Wilkes were invited to Buckingham Palace by Senior Fellow HRH Prince Philip, The Duke of Edinburgh. Leading engineers have been elected to the Fellowship – later to become the Royal Academy of Engineering – every year since, and it now consists of around 1,500 engineers from across engineering disciplines in both industry and academia. Professor Robert J K Wood is Director of the UK National Centre for Advanced Tribology at Southampton (nCATS) within Engineering and Physical Sciences at the University of Southampton.